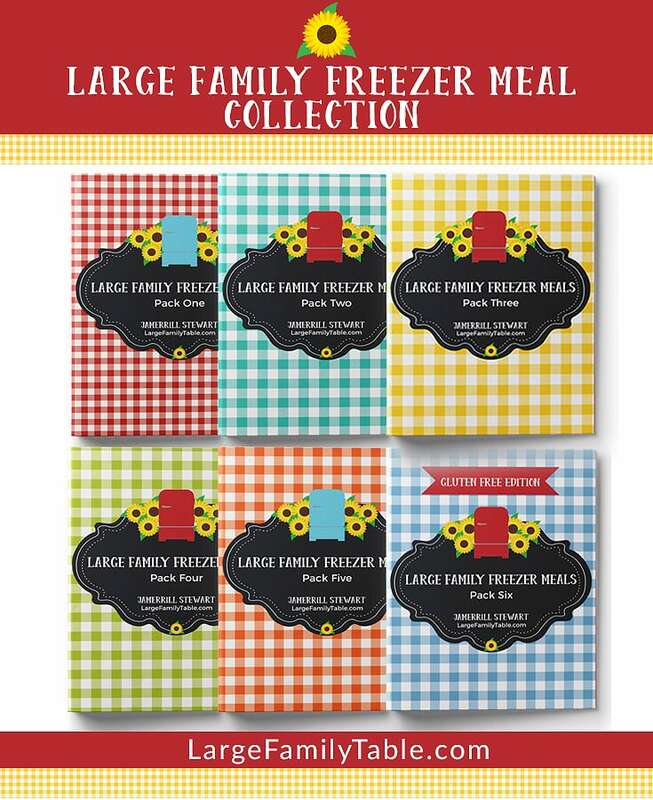 I love a good large family pantry and freezer challenge. When I do my large family once a month grocery shopping I usually plan heavily for 4 weeks of meals. I also know that I’ll get creative for at least another week or so before I do another huge grocery haul. This allows me to clean out the pantry, refrigerators, and freezers a little deeper and use up what could become forgotten items. Sometimes I do my pantry and freezer challenges for longer than a week or so. 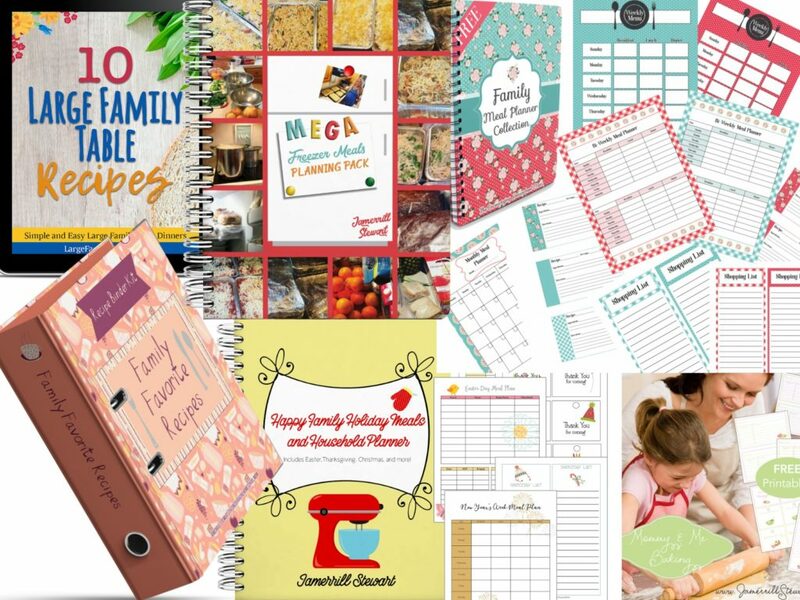 Early in February, I did this massive once a month large family grocery haul where I got everything my family of ten needed in advance for the coming weeks from Costco, Sharp Shopper, and Walmart. This was at least 90 meals and 60+ snacks that I was serving up over 4 weeks. I also got a “small” large family freezer cooking day in, too from that huge load of groceries. After the 4 weeks of large family meals were completed (and once we were back from our ski trip to North Carolina where we took a lot of our own food and freezer meals from the same above mentioned grocery haul) I decided before I went grocery shopping in March I’d do a longer pantry and freezer challenge than usual. As I mentioned my standard is usually a week. This time I wanted to stretch two weeks and *maybe* even three full weeks before I shopped big time again. 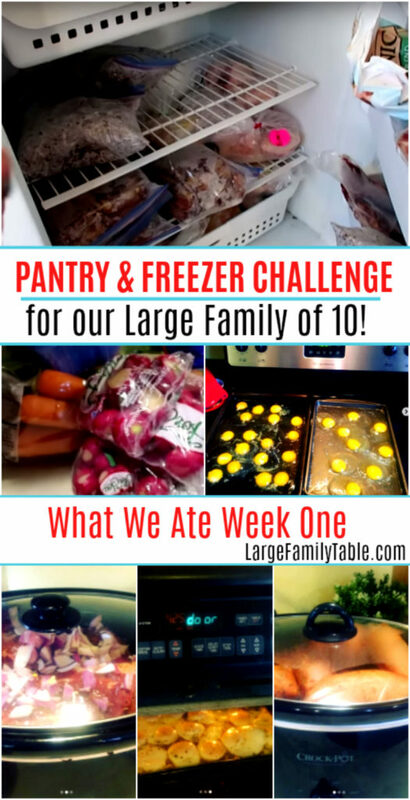 Today I’m sharing with you how week one of my pantry and freezer challenge played out. Week one wasn’t as creative as it gets in week two or three, but there’s still lots of good using up that went on. Now, this may seem funny, but at least I’m honest 🙂 I started this pantry and freezer challenge with a small ALDI grocery shopping haul. I didn’t need to buy any meat, but I needed to buy some fresh fruits and veggies to go with upcoming meals. I also needed tons of milk and bread (large family mom standard, ha!). This grocery haul was a little over $100 compared to the over $1,000 I normally spend at this time of the month and it made much of the digging deep on the pantry/freezer challenge possible. So the first week of the pantry and freezer challenge went well overall. I got several Instant Pot meals cooked up for dinners such as this Keto White Chicken Chili and Low Carb Beef Stew. I served up some freezer meal dinners like classic baked spaghetti. I made slow cooker dinners like this slow cooker full of sweet potatoes and another slow cooker with Ribeyes. I lost a few people by saying a put Ribeyes in the slow cooker, but let me explain. On that particular day, we were gone from home for over 7 hours. I knew when we got home we’d have a small window of time to eat and flip back around to Taekwondo that evening. There have been a few times that I’ve thrown steaks in the slow cooker for lack of time to grill, bake, or cook on the stove top. And you know what? They slow cook up to be a wonderfully tender and delicious dinner tasting like the best beef roast you’ve ever had. No complaints here, for sure! 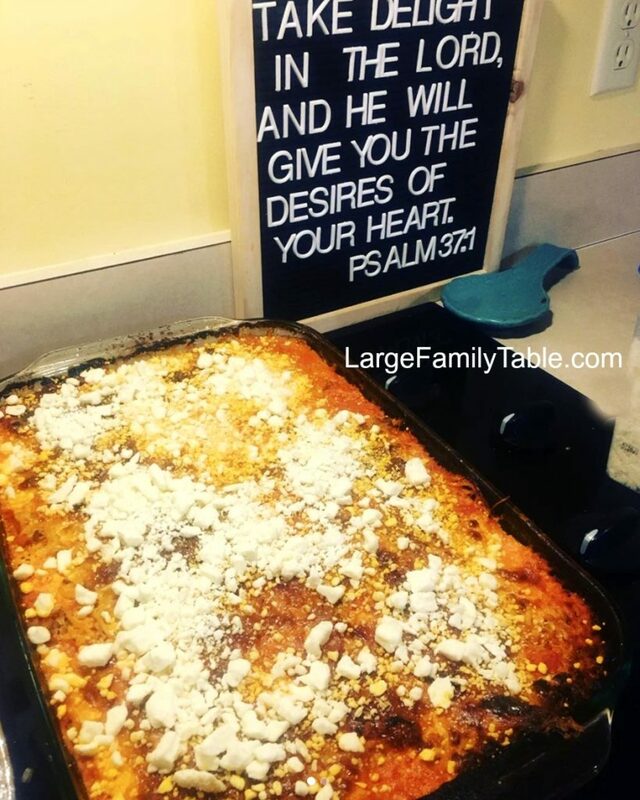 Here’s where I shared the beginning of the pantry and freezer challenge on Instagram with my baked spaghetti freezer meal. I served up many breakfast freezer meals along with some baked egg breakfasts like these fried eggs in the oven. We also used up eggs for egg salad and tuna for lunch sandwiches, plus any leftovers from the night before dinner. Tour my Pantry, Refrigartors, and Freezers! I have a new video up on YouTube called 🥑LARGE FAMILY Pantry/FREEZER Challenge + TOUR! What We Ate Week One ✔️ I share many of the meals I pulled together and served up during week one. Also, I give you a full tour of my pantry, refrigerators, and freezers after week one is complete. Please share how some of your pantry and freezer challenges have gone. What kind of creative meals have you served up?